The Summer of Soccer has officially begun and we couldn’t be more excited. 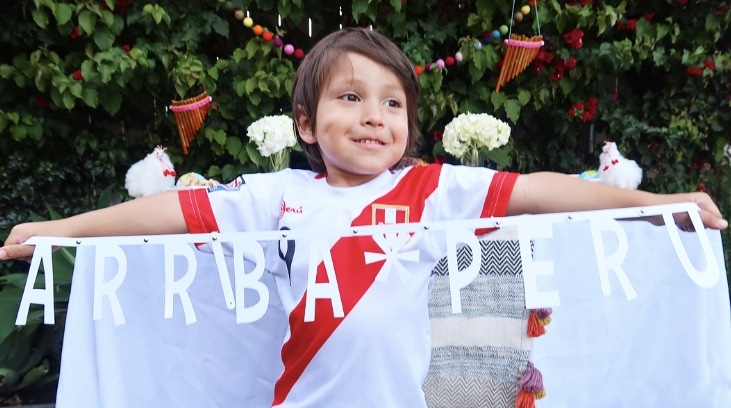 Sadly Team U.S.A. won’t be playing in Russia but we are so proud that after 36 years, Peru is finally back in the games. So this year is extra special for this American-Indonesian-Peruvian-Russian family and we’re celebrating big with Cost Plus World Market – the Summer of Soccer shopper’s one-stop shop for entertaining, decorating and food/drink needs at any budget. These soccer matches bring the World together – so this is also a great opportunity for me to teach my kids about all the different countries participating. After all, they share the same love for the sport and soccer season is just around the corner for them…this year, Ronan is finally old enough to join Pee Wee Soccer! Eek. 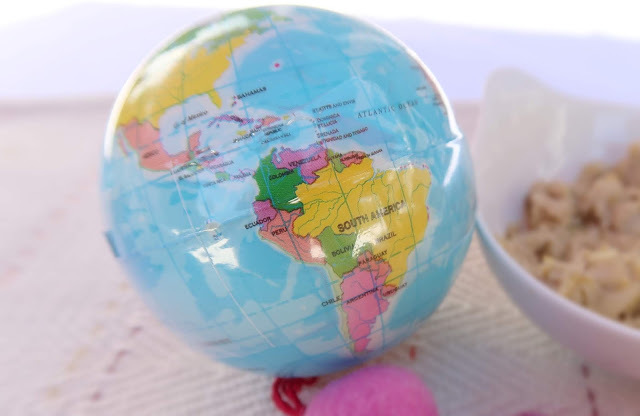 FOOD is a my favorite way to learn about different cultures. I’ll never forget my first experience with Peruvian cuisine. Danny took me to a very popular Peruvian restaurant here in LA and it was love at first bite. 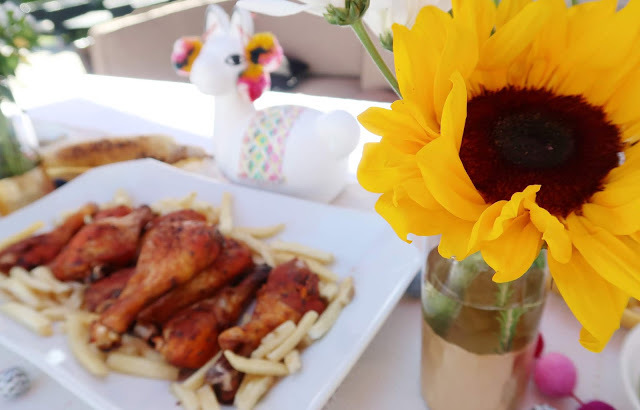 I couldn’t believe it took me 25 years to try Peruvian food…and the crazy part, I grew up 5 minutes away from that restaurant. 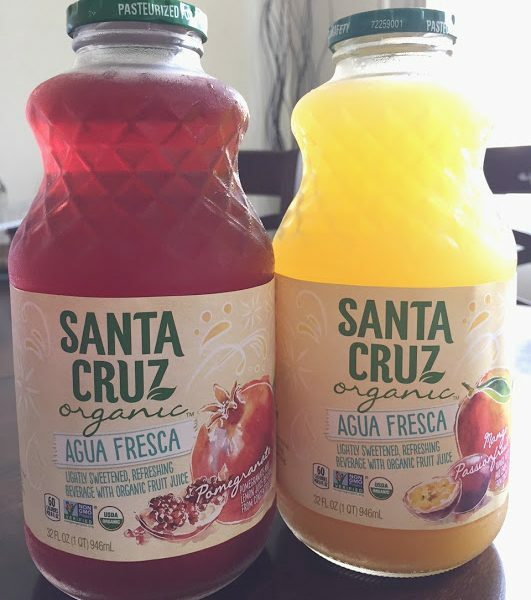 I learned so much based on the foods I ate – like how the cuisine is heavily influenced by the Incas and immigrants from Europe and Asia. 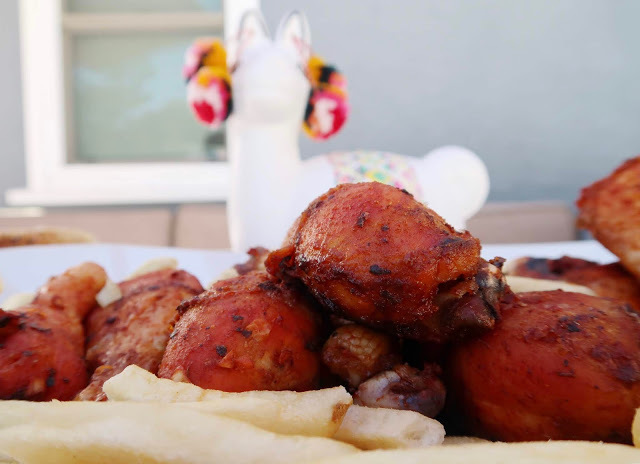 Peruvian food is a melting pot of flavors…too good not to share with family and friends! Scroll down for some delicious recipes. 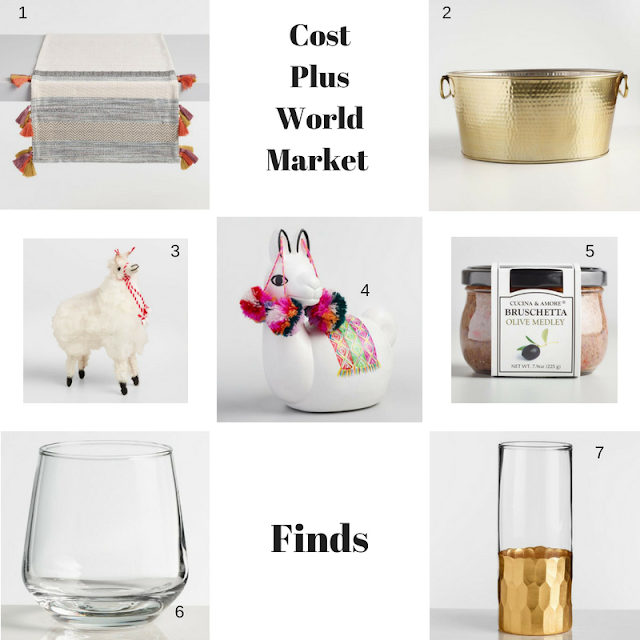 Cost Plus World Market is known for its eclectic assortment of unique and authentic food items from around the world. 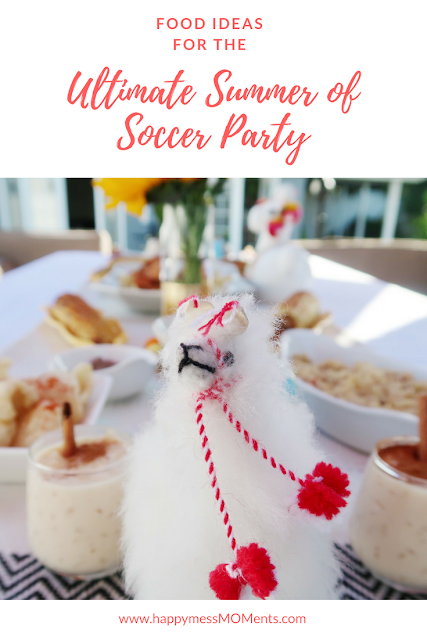 AND I found lots of Peruvian goodies to help create our Summer of Soccer Party! 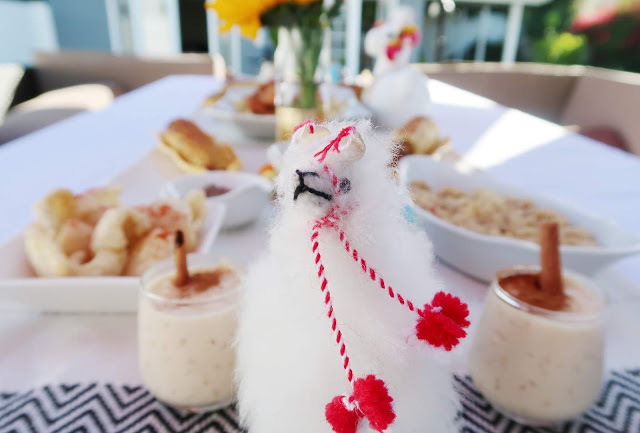 My local store had an assortment of spices that my Peruvian dishes needed, as well as foods from the region, like quinoa and fun decorative decor, like llamas. You can check out my shopping experience in my Highlighted stories on my Instagram profile. 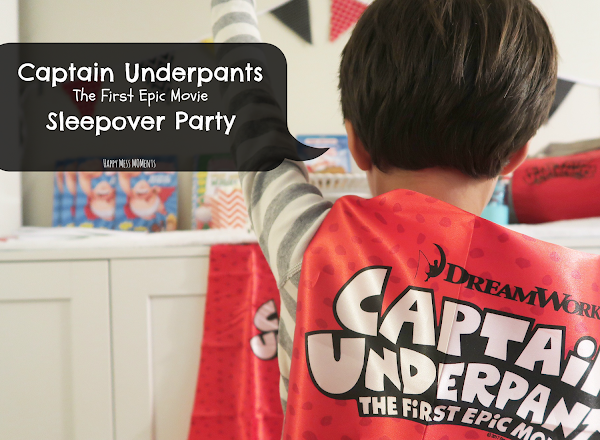 I kept our party foods simple, easy to make and most importantly kid-friendly. I served Peruvian Oven Roasted Drumsticks with Aji Verde Sauce, Corn on the Cob, Quinoa, and for dessert, Arroz con Leche (rice pudding). 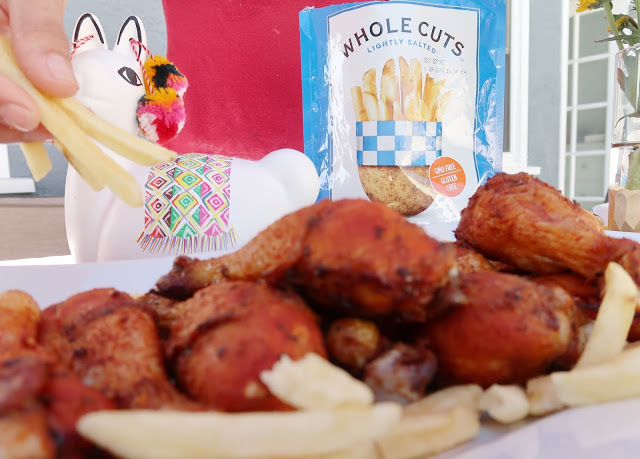 My family loves to eat chicken and when there’s a party, I love serving chicken drumsticks – no utensils needed means fewer dishes for me to clean. 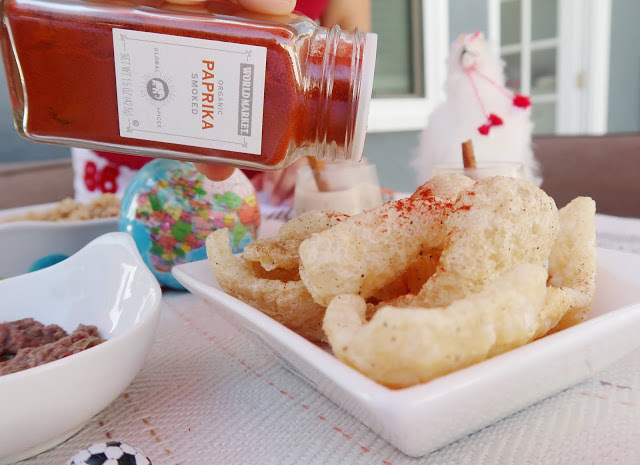 This recipe is so easy to make, its inspired by a recipe I found on Epicurios with a few changes. Preheat oven to 400 degrees. 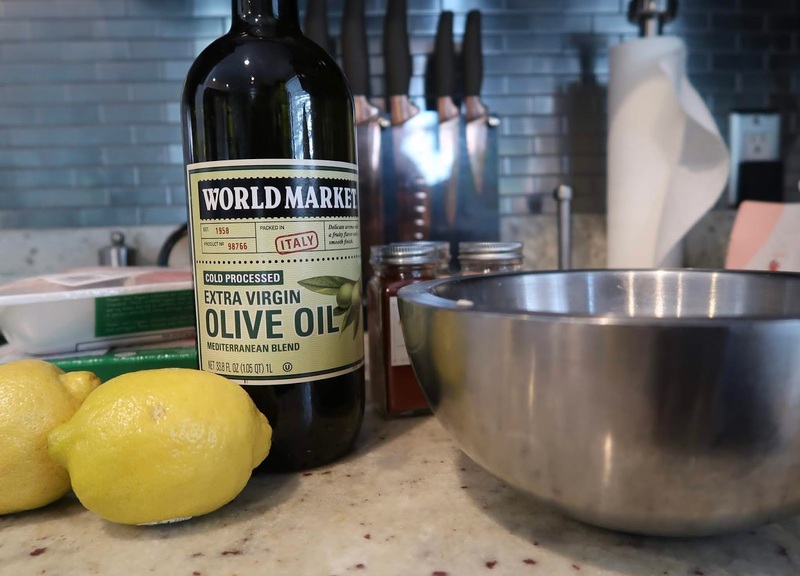 Finely grate zest from lemon and squeeze the juice in a bowl. Mix in all the ingredients (expect for the chicken). Place drumsticks in a zip-lock bag and pour mixture to evenly coat. 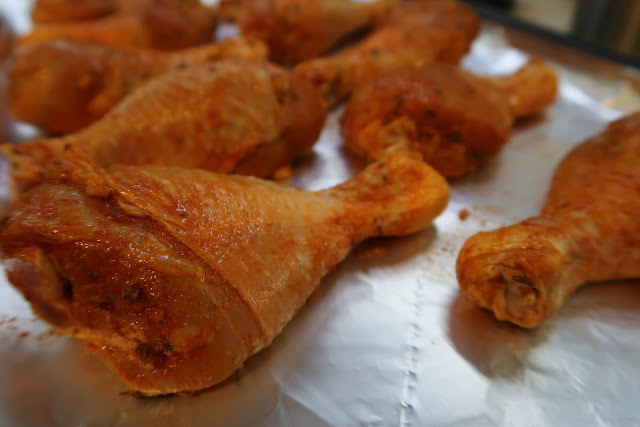 Once coasted, place drumsticks on a baking sheet and bake for 40 minutes or until its no longer pink inside. Most Peruvian dishes I’ve had are served with fries and Cost Plus World Market has these potato chips cut exactly like French Fries! Score. I love, love, love this sauce. 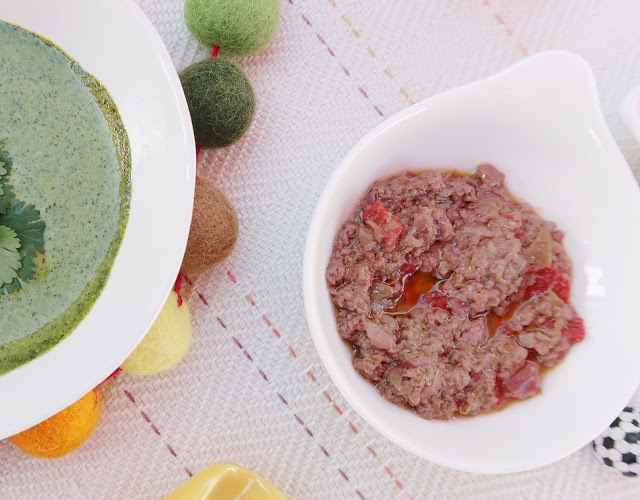 It’s a traditional Peruvian sauce that’s served alongside meals. 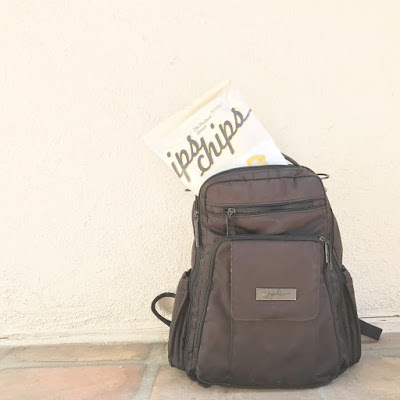 I use it as a dip as well. You can easily adjust the spice levels with the amount of jalapeños used. 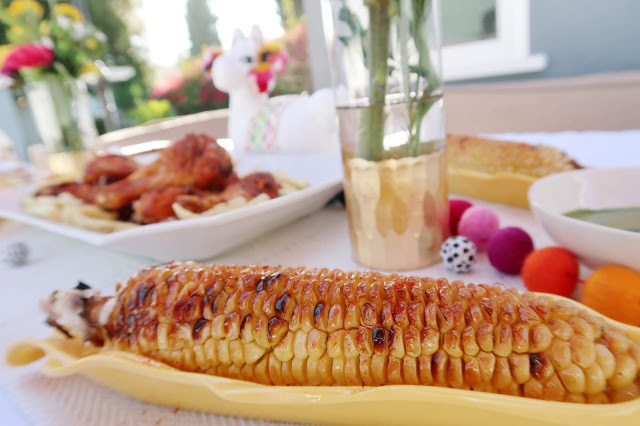 I bought a bunch of corn to serve on these adorable corn on the cob serving dishes from Cost Plus World Market. Set oven to broil. Husk cob and brush olive oil. Put under broiler 6-8 minutes on each side, or until kernels darken slightly. 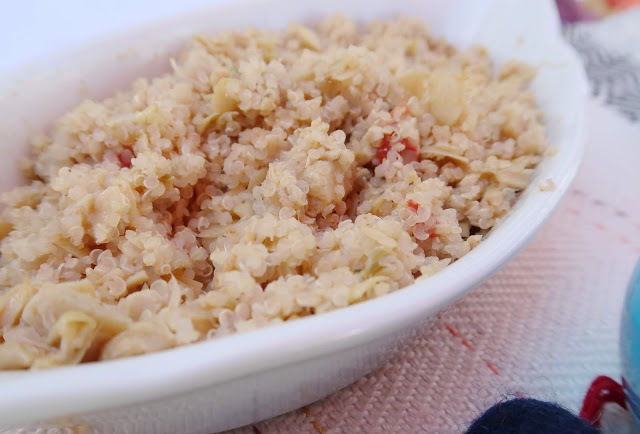 We love eating this superfood from the Andean region and Cost Plus World Market has ready-made quinoa, which makes the perfect side dish. I literally just opened it, stirred the ingredients together and served on this dish. Boil water with 2 cinnamon sticks. Turn down to medium heat. Add rice, evaporated milk, and condensed milk and cook covered until tender, about 18 minutes. Lower heat and stir consistently until mixture thickens. Transfer to serving cups. 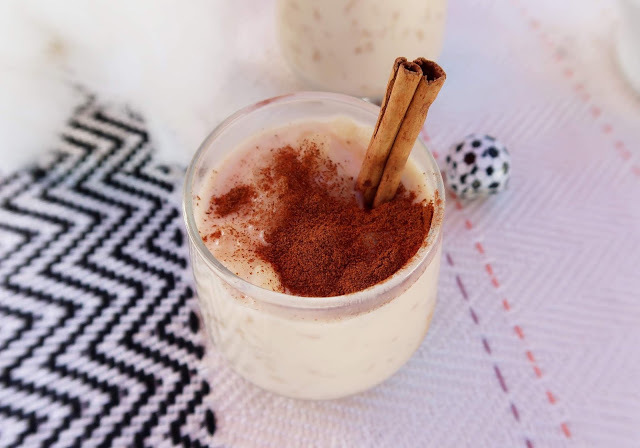 Dust with ground cinnamon and garnish with a cinnamon stick. Can’t forget about the adults, right. 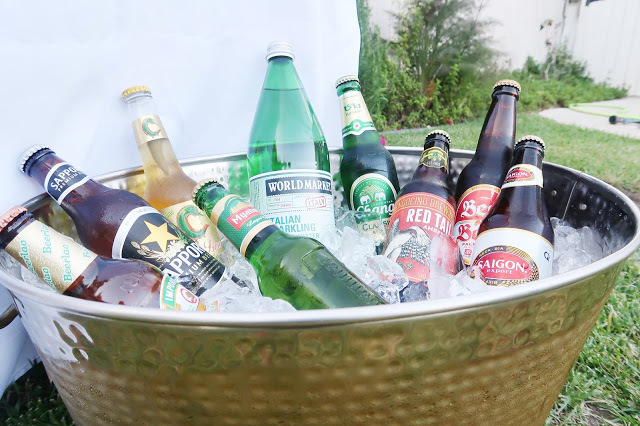 Beers of the World pairs perfectly with a Summer of Soccer party! And they also carry an amazing collection of water and drinks for the whole family. No matter who you’re rooting for, you’ll definitely find something at Cost Plus World Market, especially with its unique dining and entertaining products and food and wine from over 50 countries. All at amazingly affordable prices, every day…and be sure to sign-up for their membership program. It’s free to join and thats here I get my coupons to shop! For a location nearest you, go here. Oh my the drumsticks and Arroz con leche sound SCRUMPTIOUS. Such fun ideas! I love when the World Cup rolls around — it's such a festive time! My husband and I definitely watch a lot of matches! 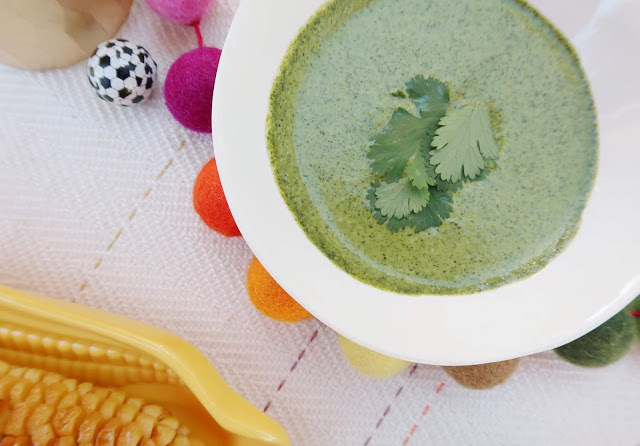 Can't wait to give your Peruvian Aji Verde Sauce a try — it sounds so good!